Steve Wilson is a bandleader, composer and arranger whose musical vision reveres the past, create a soundscape of the present and reaches toward the future. His well-crafted sets offer audiences a rich tapestry, fusing classical jazz, R&B, soul and funk, Latin, and lyrical ballads. Since 1990 he has carefully nurtured two critically acclaimed quartets that have recorded and performed internationally, each with its signature sound. Not one to rest on his laurels, Steve is continually working on new projects. This will be the place to catch up on who is working with Steve! 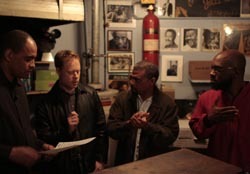 Wilsonian's Grain premiered at the Kennedy Center Jazz Club on October 17, 2008, and features Orrin Evans on piano, Ugonna Okegwo on bass and Bill Stewart on drums. You can listen to this performance on NPR's JazzSet with Dee Dee Bridgewater, who called Steve "one of the finest saxophonists in the business." 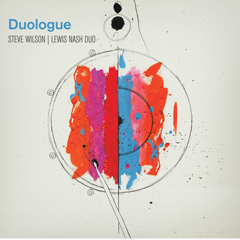 Nash & Wilson are two instrumentalists whose playing is richly steeped in the history of jazz. They are leaders of their generation concocting their own brand of elegant and intricate music. Together they click like two gears, reaching their audience in more than musical ways. Their performances are brimming with virtuosic command of rhythm, coloration, melodic flare, and their exquisite gifts for phrasing and lyricism. 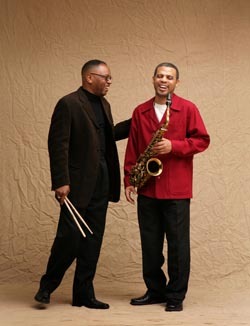 Two of the most sought after musicians on the jazz scene, they are improvisation and creativity at its very best! This is an educational project that features music from Charlie Parker's 1950 recording, Bird With Strings. The beauty of this residency is in the large impact it can have on your community by involving both classical and jazz students as well as reaching a mainstream audience. The following description is for a 3 - 5 day residency. Student String ensemble. May be as small as a string quartet, or as large as an orchestra. String players need no prior experience! A video of "April in Paris" with a student string quartet from the University of MD. "Bird with Strings" music, a list of charts, with instrumentation, is available. The first half of the program is a straight jazz set with Steve's group, second half could include the Villa Lobos, and the Charlie Parker tunes with the student strings. Steve's Wilson's "A Joyful Noise" arranged for big band and saxophone soloist. Rehearsals with the string students, led by Steve Wilson and David O'Rourke, of the "Bird With Strings" music. Steve Wilson Quartet members lead sessions on improvisation, ensemble coachings, instrument specific clinics, discussions on the business of music, jazz history, and can include outreach to a community middle or high school. The number of services during the residency will be agreed upon between presenter and artist management. Steve works with a student big band on his piece "A Joyful Noise" and performs with them in concert. He can also work with them on other repertoire. David O'Rourke offers a workshop giving a historical overview of string writing in jazz and cinema, the classical influences and puts it in context to modern day writing. The session includes a slide show of scores, with audio. "Thank you again for the amazing experience you provided for the students and staff yesterday. Steve Wilson and his band are fabulous musicians and were extremely helpful with my kids." "We host many wonderful artists each season, but I can say without hesitation that this residency was one the most successful and enjoyable on many levels." "There is no doubt that you have allowed us to understand more deeply the tremendous time, energy and creativity that goes into a career in the music industry." "It was a great couple of days with fantastic input from Steve and David with our students and lots great music with all of us here." "Excellent concert - Steve Wilson and the band were graceful and elegant. One of the best concerts I have attended at UM!" "I loved hearing the student string players - it's wonderful that Steve is so open and willing to share his expertise." 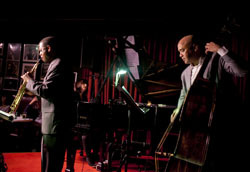 The Steve Wilson Quartet is celebrated as one of the foremost ensembles in jazz. Including pianist Bruce Barth, bassist Ed Howard and drummer Adam Cruz, this band of contemporaries delivers inspiring melodies in shifting styles and varied textures, with swing, cohesion, and soulful empathy that come from over ten years of working together. After a very successful orchestra debut, Steve has been invited back to perform at the Vermont Mozart Festival in 2010. Vibes player Joe Locke and bassist Hans Glawischnig will join him to perform a jazz concert on July 28th. On August 1st, Steve will again be performing with the Vermont Mozart Festival Orchestra playing works of Ellington that will be arranged by Steve's Manhattan School of Music student, Jonathan Ragonese. This will be part of an all American program including Copeland’s Appalachian Spring and Barber's "Capricorn" Concerto. Listen to You and I Must Part, a piece Jonathan wrote for Steve. 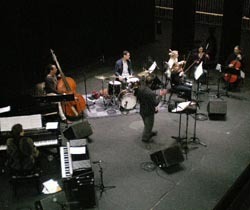 One of the best parts of 2009 for Steve was touring with the Blue Note 7, with his great friends Bill Charlap Peter Bernstein, Ravi Coltrane, Nicholas Payton, Peter Washington and Lewis Nash. They were celebrating the great legacy of Blue Note Records on the occasion of their 70th Anniversary. One of the stops was at the Kennedy Center, and you can hear that performance on NPR's JazzSet with Dee Dee Bridgewater.